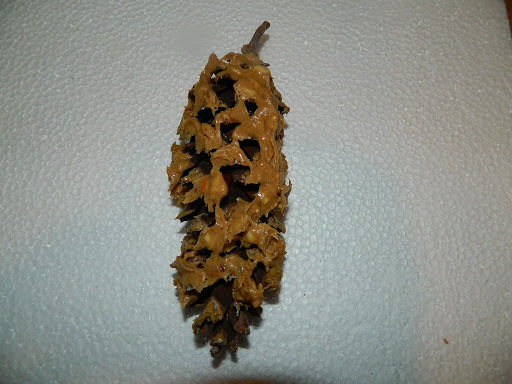 I coated each pine cone with peanut butter, spreading it as evenly as possible on the entire pinecone. 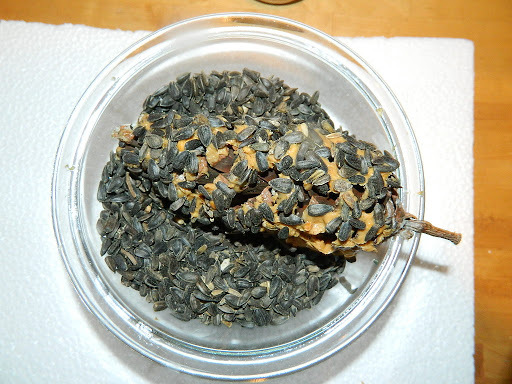 Then I put the sunflower seeds in a large bowl, and rolled the pine cone in the seeds. 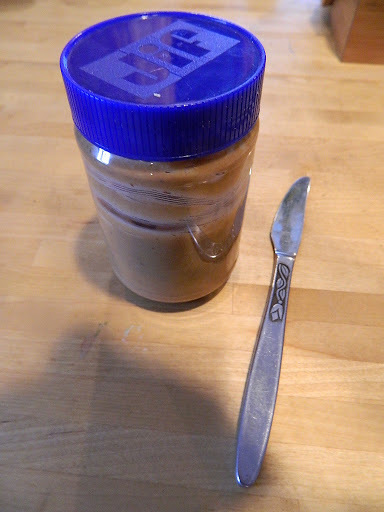 I had to use a spoon to get some of the seeds on the top of the pine cone since my bowl was not large enough to fit the entire pine cone in it. 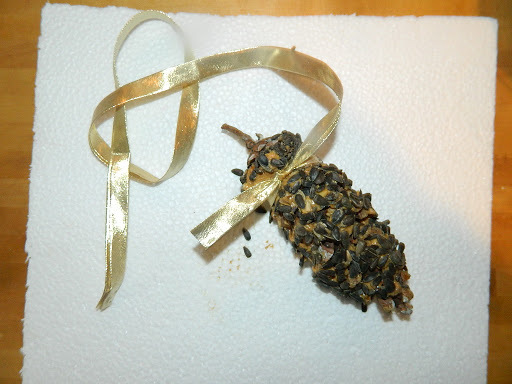 From my sewing room stash of ribbon, I found some beautiful gold ribbon to tie on the end of the pine cones so that I can hang them on the bush outside the kitchen window. 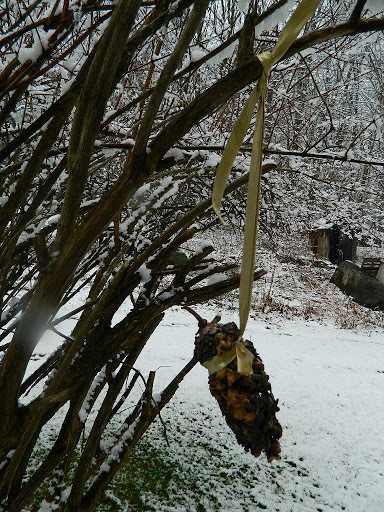 Here is one of my bird seed pine cones, hanging outside the kitchen window. 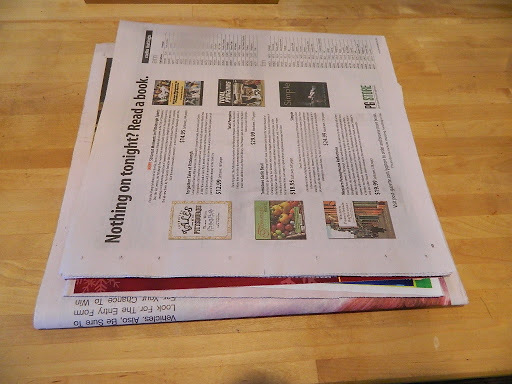 Now I can stand inside, in the warmth of my kitchen, sipping tea and watch the birds enjoy a great protein treat!